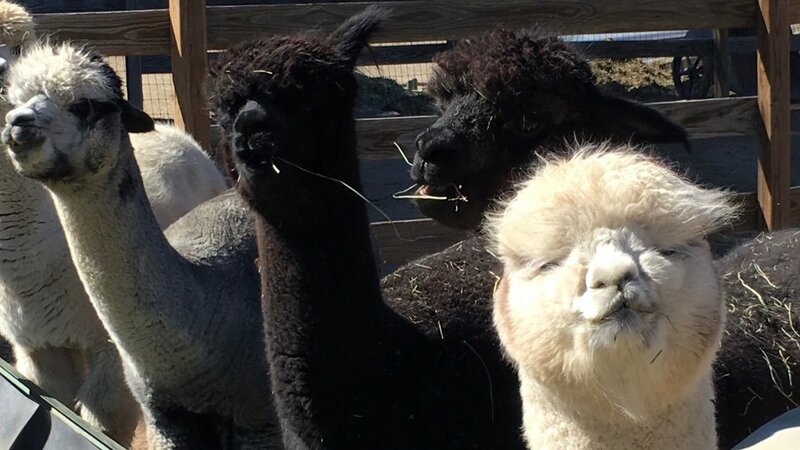 Blazing Star Ranch is a yarn and fiber store with a heavy emphasis on spinning and weaving, and an alpaca farm in Colorado that began in January 2010. We started with 2 alpacas and now total 30. Seven years into the business, we are seeing the fruits of our breeding decisions. Our yarn and fiber store opened inside Anderson's Vacuums in the late fall of 2012. We carry Majacraft, Ashford, Spinolution, Schacht, Kromski, and Louet spinning wheels and a variety of natural fibers, yarns, and the tools to work with them. Small looms are available from Ashford, Kromski,and Schacht. Yarns include local hand spun as well as commercial yarns such as Rowan, Misti Alpaca, Noro, Wonderland Yarns, Done Roving, MJ Yarns, and many more. For weavers, we have coned yarns including mercerized and unmercerized cottons and wools and are adding more all the time. We offer a wide selection of rovings -alpaca (from our herd), a variety of local wool offerings from FiberTraveler, camel, yak, merino, BFL, silks, and bamboo and dyed rovings from Frabjous Fibers, MJ Yarns, Noro, and more!